Coco Owchar is one of the most interesting and flat out fun people you will ever meet. She’s on a mission to improve the health of everyone she meets through public speaking, classes, nutritional advice and juice plus. This self proclaimed “Plant Pusher,” needed a fresh new logo to update her brand. She hired Stebbins Media for our Logo-In-A-Week program and we exceeded her expectations. 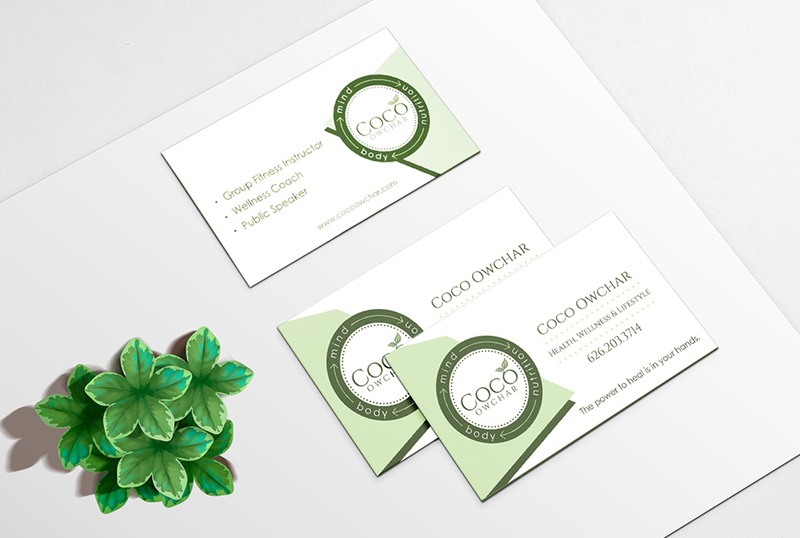 Once she had a great new logo, she need amazing business cards to help show it off. We worked closely with Coco to make sure we met her vision and stayed true to the culture she has developed within her brand. She used a faux suede paperstock with a spot UV finish over her logo and the end result was a phenomenal card that makes her business card marketing worth mentioning every time she hands one out.